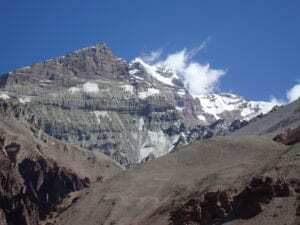 You are thinking to trekking to Everest base camp. Here is all you need to know trekking to Everest base camp are all the things you need to know and apply to your preparation and journey into the Everest region. I have climbed Everest to the summit, helped people train to climb Everest and lead over 30 treks to Everest base camp. Check out our 2019 or 2020 or 2021 trekking dates. 15). What Insurance do I need for my Everest Base Camp Trek. 16). What additional expenses will you incur on the Everest Trek. 17). What are the differences between trekking to Everest and climbing Kilimanjaro. The first think you need to do is pick the right itinerary, there is no one size fits all and you need to have as much acclimatization in the critical points of the trek. You need 3 nights acclimatization in Namche Bazaar on the way up the trail. This is vital to a safe, enjoyable and success experience in a low oxygen environment higher up the trail. If you fail to acclimatize well lower down you run the risk of getting altitude sickness higher up. Breathing techniques, low heart rates, excellent hydration and pacing are all really important to be safe and successful. You also need excellent physical conditioning to be able to walk up and down hills with a weighted back pack at high altitude. We can help you with this. DROP US AN E-MAIL today and get access to the Everest base camp professionals who have made the journey many times. Support a company who has invested in Nepal. We set up the Goli village trust after the 2015 earthquake. We have our own full time staff on the ground in Kathmandu and we run a quality service on all our trekking and mountaineering itineraries. CONTACT US and we can explain how we operate in Nepal.